Trent University student and Cube client Nicholas McKinstry is changing the way we shop for the better! 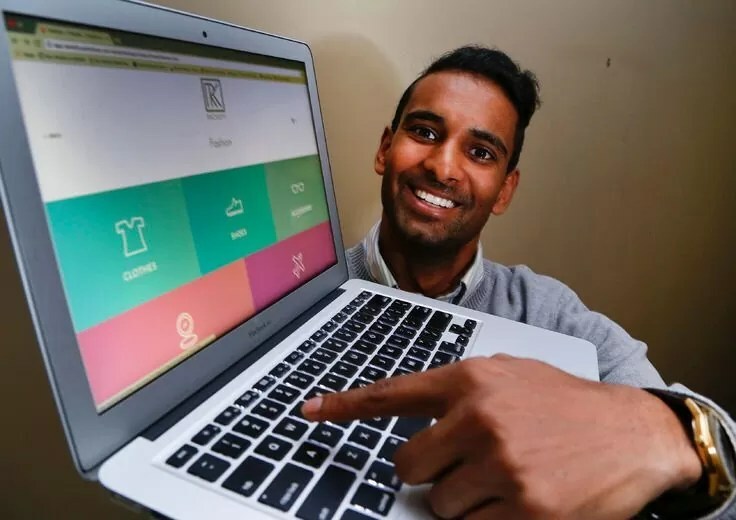 Inspired by his troubles in searching for the perfect gift for his 101-year-old grandma who has everything, Nicholas created Rackofy – a customizable online shopping service that offers gift ideas based on who you’re shopping for, your budget, and the occasion. In about 30 seconds, anyone can use Rackofy to view the 300+ products that are currently available through the site and save themselves some labour-intensive gift hunting. These products range anywhere from $25 to $1,000+ with about a dozen companies (including Walton Wood Farm!). With the help of The Cube, Nicholas was able to take his business from an idea in April, to a launched business in December. Go Nicholas! The one-stop-shop solution from 23-year old McKinstry launched Friday (December 02, 2016)! Click here to learn more about Rackofy, and happy shopping! Following Noblegen’s rebranding announcement in August, the company has revealed plans to scale up their pilot production facility to a first generation manufacturing plant to meet the growing demand for scaled production of its expanding product portfolio. The plant is expected to be operational in early Q1 2017. The “Gen 1” facility is part of Noblegen’s two-phase scale up strategy, which was borne out of the successful completion of their pilot production plant. The Gen 1 facility, located in Peterborough, Ontario, will bridge the company’s production needs until the completion of the larger Gen 2 facility at the Trent Research and Innovation Park which is slated for completion in 2018. The Gen 1 facility which is the largest of its kind in North America will produce a substantial tonnage of biomass, which will be processed in the near term for applications in food and beverage and nutraceutical applications. The company is currently in negotiations with several multinational customers. These expansion plans will be financed through a private equity raise split in two closing phases. The first phase of $5.5 million was closed at the end of July 2016, with the second phase expected to close an additional $2 million at the end of October 2016. The company has boasted an impressive enterprise valuation of $50 million due to its ground-breaking technology platform and high potential to impact global markets. Looking forward, the company is now in preparation for a significantly larger round of investment to support growth into the Gen 2 facility. The Gen 1 facility is being constructed in collaboration with key individuals and community partners including Lett Architects and Mortlock Construction. Lett and Mortlock are both Peterborough firms which have a long history of supporting and investing in our community, which aligns well with Noblegen. The plant will create 15 new, local jobs which will increase the total of Noblegen’s staff to over 30 by the end of year. Increasing employment opportunities for skilled professionals and students in the community has been a focus for the company since its founding in 2013. Noblemen’s talented team started out in The Cube at Trent University and have flourished since. The brand new manufacturing plant will be producing biomaterials for entry into the nutrition and nutraceutical markets and the company is currently in negotiations with several established and promising organizations. Following its announcement earlier in February 2016, Noblegen’s plans to construct a manufacturing facility at the Trent Research and Innovation Park are moving forward according to its original timelines of breaking ground in the spring of 2017. More detail about the Gen 2 facility will be made available in the coming months.